At least two of Apple's suppliers will undergo the reviews, one prominent environmental activist told USA Today (via The Next Web). Ma Jun, founder of the Institute of Public & Environmental Affairs, said in an interview that Apple had agreed late last month to open up its facilities to address reports from IPE and other groups outing suspected Apple suppliers as polluters. The audits could start as early as next month and may eventually expand to other suppliers. Linda Greer, who heads the National Resources Defense Council's health program, said Apple had agreed to allow access to two of the 14 suppliers reviewed in its own environmental audits from last year. The groups will reportedly focus on whether Apple's suppliers are improperly disposing of toxic waste. Last November, reports emerged that Apple had met with Chinese environmental protection groups to discuss their concerns. At that time, the iPhone maker told activists that some of the suppliers listed in their reports were not in fact part of its supply chain. Apple told the leaders that it had spoken to most of the suppliers that had been identified in the research notes and would contact the rest to ask them to reform. Apple took a step toward transparency last month when it published a list of major suppliers. 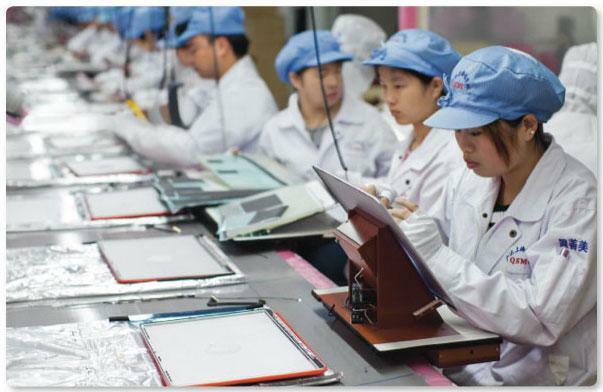 According to Monday's report, confirmed Apple suppliers named in IPE's report include Foxconn Technology, Meiko Electronics, Unimicron, Ibiden Electronics, Wintek, Nan Ya Printed Circuit Board and Compeq Manufacturing. Meiko has been accused of polluting nearby rivers and lakes, while residents near a Unimicron factory have complained of acid gas and dust. The Cupertino, Calif., company has been under public scrutiny as of late due to several recent reports from The New York Times and CNN examining working conditions within Foxconn. For its part, Apple points to its new participation in the Fair Labor Association as evidence that it is working to better monitor working conditions within its supply chain. The FLA conducts independent audits of its members suppliers. It began inspections at Foxconn last week. Foxconn has responded to criticism by raising wages as much as 25 percent for its factory workers. ABC is set to air an inside look at the manufacturer's facilities Tuesday on its Nightline news program. Reporter Bill Weir was offered rare access to Apple's production lines to produce the special.